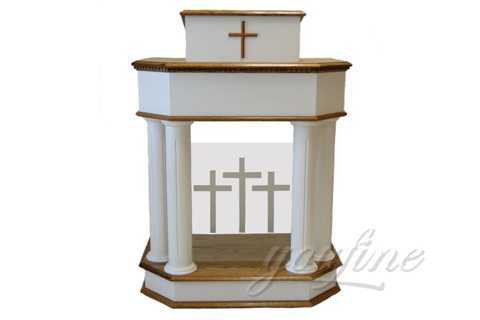 This elegant church pulpit is perfect for your church using. 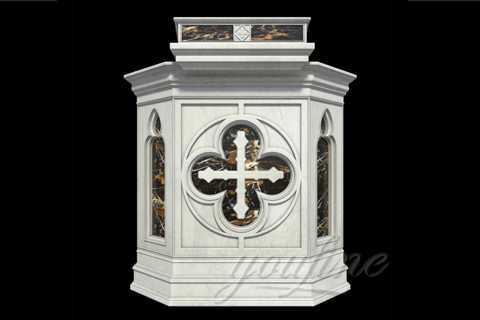 The material mostly is pure white natural marble, implanting some multi marble in the front and two sides of the pulpit, which make the piece looks not monotonous. The size is 90CM Width& 120cm Height (35”&47”), we also could customize the suitable size according to your need. Please feel free to contact us now for more details! Size: 35” * 24” * 47” or Customized Size. 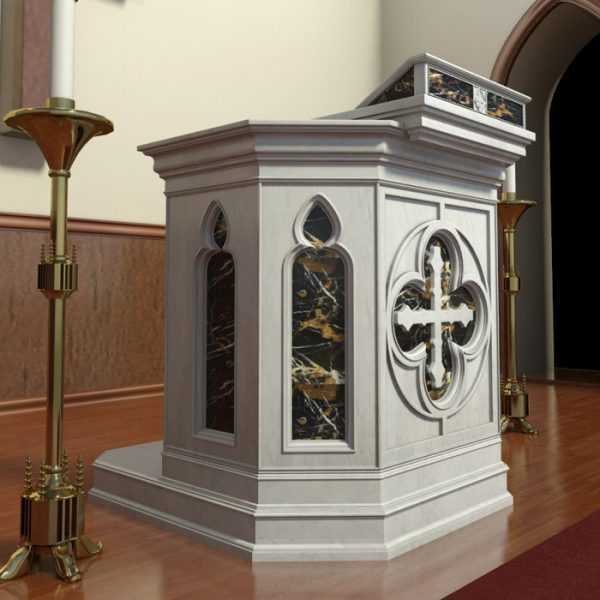 This elegant modern church pulpit design is perfect for your church using. 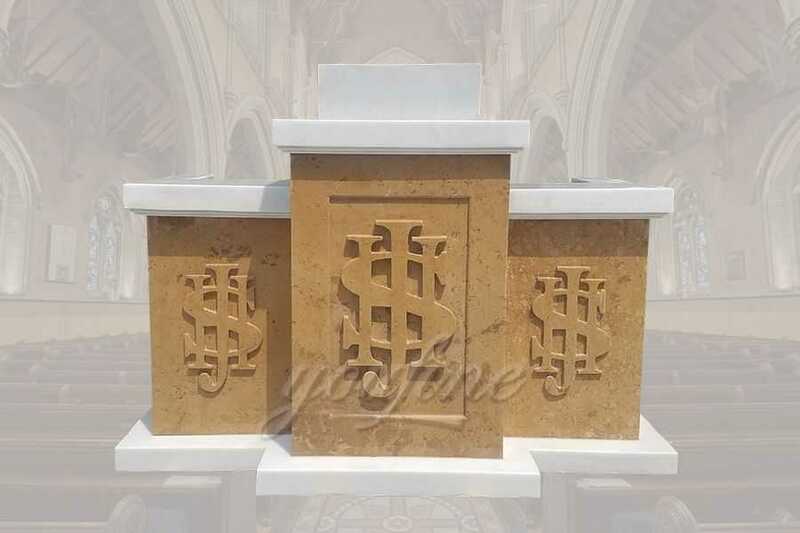 The material mostly is pure white natural marble, implanting some multi marble in the front and two sides of the pulpit, which make the piece looks not monotonous. The size is 90CM Width& 120cm Height (35”&47”), we also could customize the suitable size according to your need. Please feel free to contact us now for more details! There are mainly five kinds of church sculpture in You Fine. 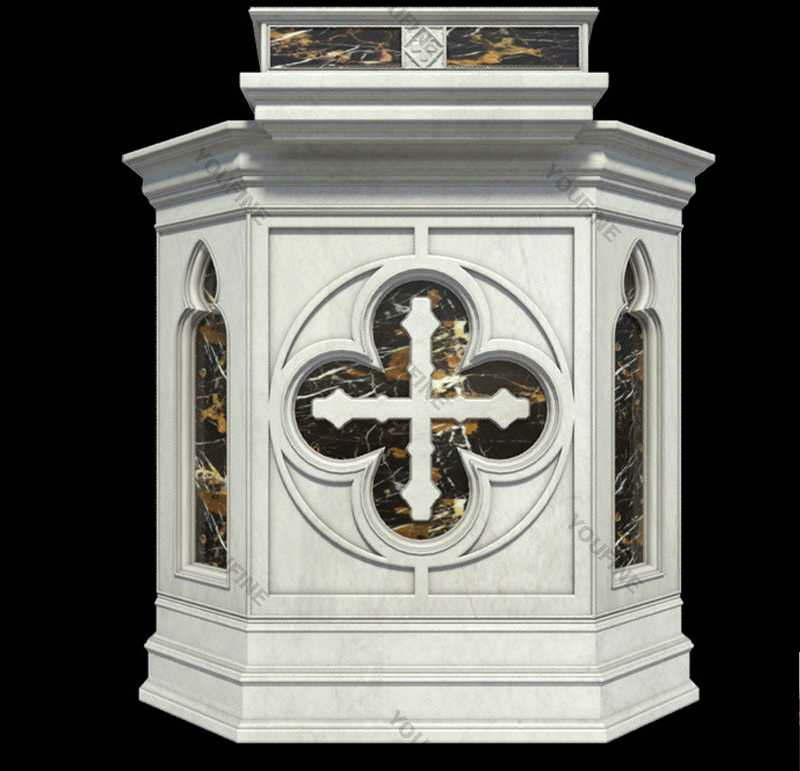 Popular religious figure statues, which including modern church pulpit design,Virgin Mary Statues, Jesus Statues,Our Lady of Fatima, Our Lady of Lourdes,Our Lady of Grace, Our Lady of Carmel,Holy Family, Saint Joseph,Saint Anthony, Saint Michael,etc. 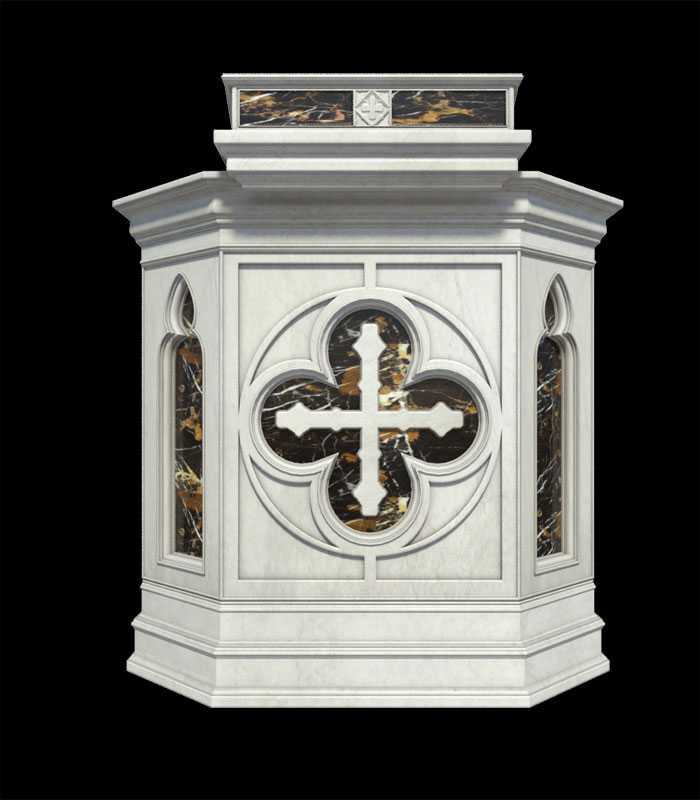 Marble Altar Statues, Marble Pulpit Statues, church font statues and relief sculptures. 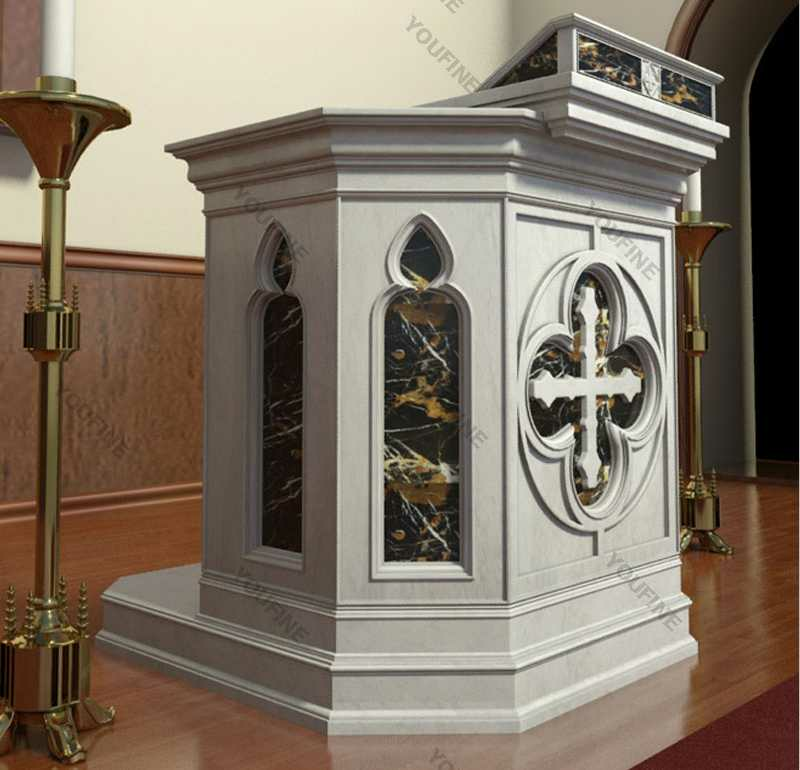 Tell us which you like modern church pulpit design,if you are interested in marble pulpit ! 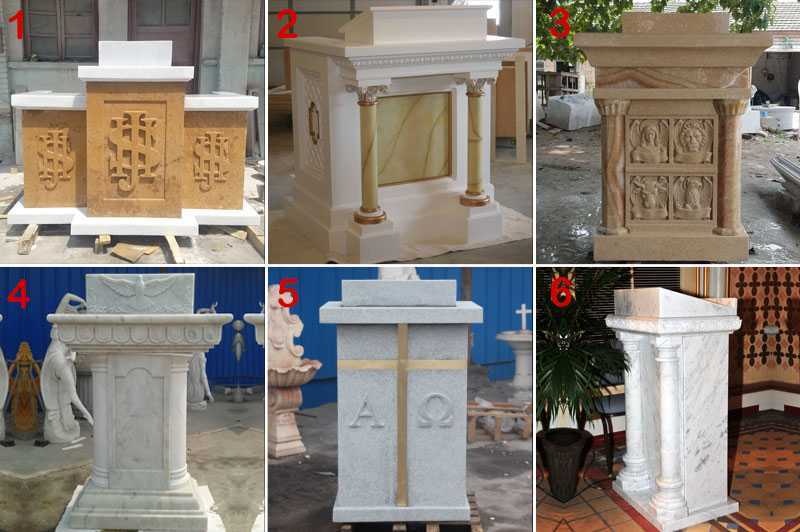 It will depend on the products you need.For the small products,such as tiles and small animal sculptures etc…We are more than pleased to send a sample for your inspection.As for the large stone products,we are sorry for that we cannot send samples but trial order is acceptable. 2.How to solve the quality problems after sales? (1) Take photos of the problems and send to us. (2) Take videos of the problems and send to us. (3) Send back the physical problem fabrics by express to us. After we confirm the problems, such as caused by machine, dyeing, etc, Within three days, we will draw up the satisfied program for you. 3.Do you also make customized design? Yes. We can make different size as per clients’ drawings and pictures. 4.How long can my order be finished? It will depend on your order quantity and the complexity of products you purchased. Normally one container order needs 14 – 25 days.